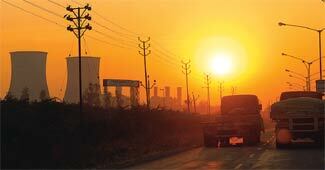 Misgovernance, slowing investments and rising capital costs threaten the India decade. Unless New Delhi acts decisively, sustaining the economic growth rate will be a big challenge. The mutual fund industry is witnessing an exodus of investors, but it has not been able to come up with a definite plan to stop the outflow. Four weeks before the Finance Minister presents his annual Budget, we take stock of the macroeconomy. The book is a well-written account of the emergence of strategy consultants, says Arun Maira. Those who know Krishnan Ganesh call him a maverick, a maverick genius at that. Founder, Chairman, MD and CEO of Subex Ltd Subash Menon talks about what works for him. There is a leadership deficit on vision and people in India, says a new index. Buoyed by cricket gear sales, SG pads up to open its innings in the sports apparel and footwear arena. Why its demise is a cautionary tale for social networking business plans. There was a compelling argument for setting up the FSDC despite reservations among regulatory bodies like the RBI or SEBI, says Vinod Dhall. Should the government decontrol the prices of diesel, kerosene and LPG ?